Rehabilitation aims to optimise oral functionality. Before rehabilitating teeth, it is necessary to optimise lower jaw and skull articulation. After optimising the positioning and the functioning of the jaw, it sometimes becomes necessary to proceed to a complete or partial dental rehabilitation. Depending on the situation, rehabilitation can require various treatments, such as: the insertion of one or several implants, crowns or veneers. A competent dentist can generally identify the extent of the treatment that will be required after an in-depth exam and an analysis of the case. The value of rehabilitation varies considerably depending of each individual situation. It is a worthy investment. Neuromuscular dentistry and rehabilitation can make a big difference in quality of life and even in life expectancy! Las Vegas Institute graduate in neuromuscular dentistry, Dre Nathalie Bouchard benefits from a great expertise in the field. Furthermore, she has received the title of “diplomate”, the highest honor awarded by the International Congress of Oral Implantology and she teaches at the Institut canadien d’implantologie. 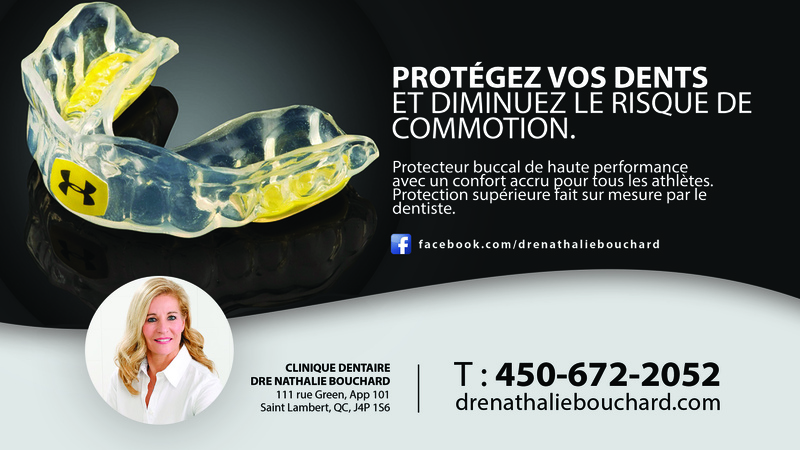 The doctor Nathalie Bouchard invites you to come consult her. She will review your situation with you.